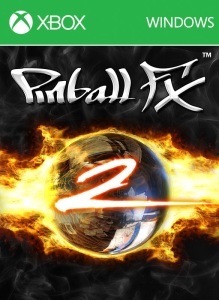 The critically acclaimed Xbox LIVE® Arcade hit, Pinball FX2, will be available for Windows 8 BETA from Zen Studios, the definitive leader in arcade-style pinball videogames. Featuring the most advanced balls physics in videogame pinball, Pinball FX2 is the premiere pinball videogame experience. The BETA version contains one table and will be updated with all the features and content our fans come to expect when the full version releases. With its robust physics engine, Pinball FX 2 will make you think you’re back at your local arcade. Intuitive tablet controls delivers a whole new experience for Pinball FX fans. View your table from various camera angles, allowing you some new perspectives in your pursuit to become a pinball wizard! More of these beautiful, immersive, and innovative tables will become available at the launch of the full version. Pinball FX offers an unparalleled gaming experience for novices and experts alike. It combines the arcade thrills of traditional pinball with enhanced gameplay and exciting, innovative features not found in any other pinball game. With the power of Xbox 360™ behind it, Pinball FX sets a new standard for realistic ball physics and graphical detail i..
CastleStorm is a new breed of 2D archery projectile warfare and 2D physics-based structure destruction game set in a colorful medieval world. Players will experience a challenging mix of real time strategy, resource management, and a variety of different gameplay scenarios. CastleStorm features medieval ballista weaponry, allowing play..